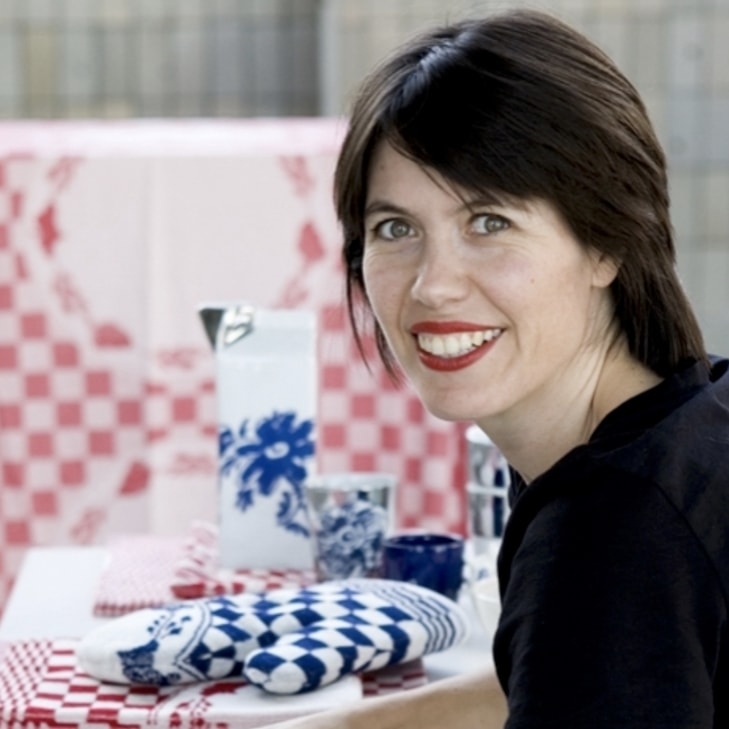 Een jong Nederlands design merk, gespecialiseerd in Wanna haves for Living. The.Cube by Nikki Amsterdam is your new gear for chill and party moments! This design cube has three functions: blue tooth speaker (10 W), multicolour design LED lamp and seat. 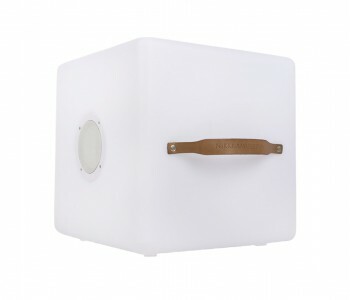 The.Cube comes with a remote control and Lampion-app for your mobile to control the light colour and light and sound strength of The.Cube and to synchronize light and sound of connected Cubes or Lampions. 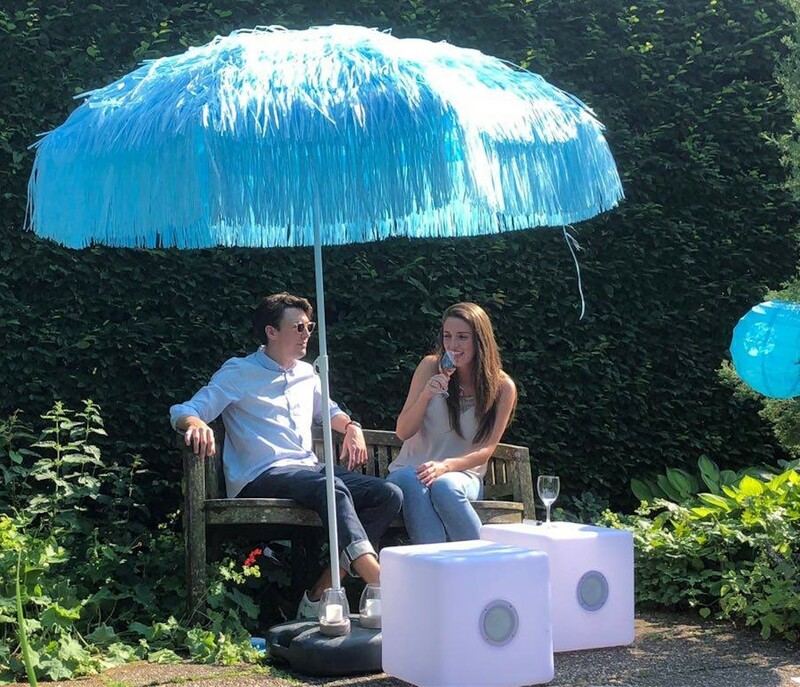 A cool atmosphere maker for in your room, on the terrace or at a party. With The.Cube you have up to 10 hours of fun without charging. is your new partner for all your chill and party moments! 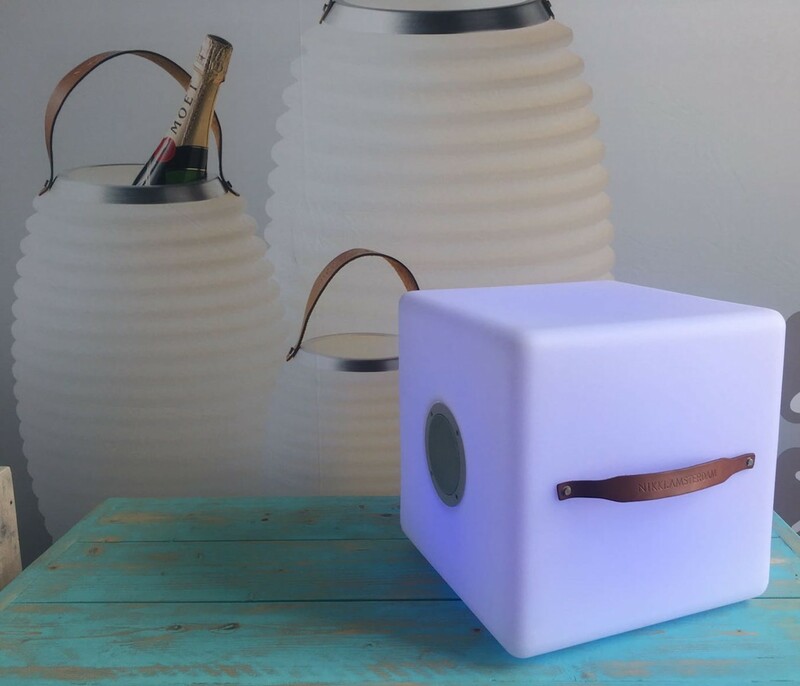 This design cube has three functions because of The.Cube by Nikki Amsterdam is a blue tooth speaker (10 W), a multicolour design LED lamp and a seat in one. The.Cube comes with a remote control and Lampion-app for your mobile to control the light colour and light and sound strength of The.Cube. You can use these also to synchronize the light and the sound of several connected Cubes or Lampions. The.Cube is a true cube with equal sides of 40 x 40 cm, made from polypropylene. A cool atmosphere maker for in your room, on the terrace or at a party. With The.Cube you have up to 10 hours of fun without charging. 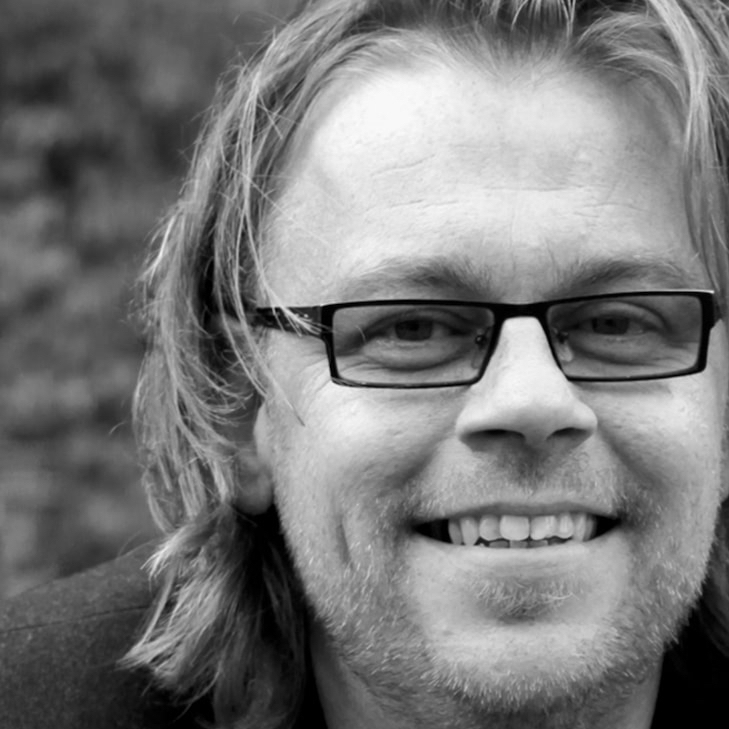 - SYNC feature that allows to synchronize light and sound of multiple linked cubes! 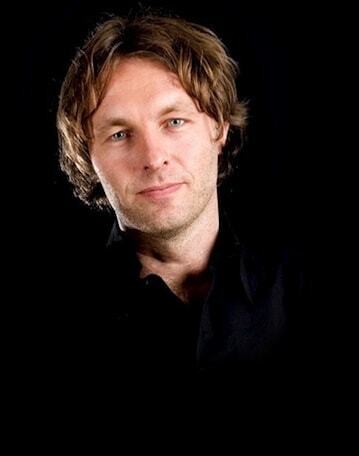 The label Nikki Amsterdam is a young Dutch design brand, specialized in Wannahaves for Living. 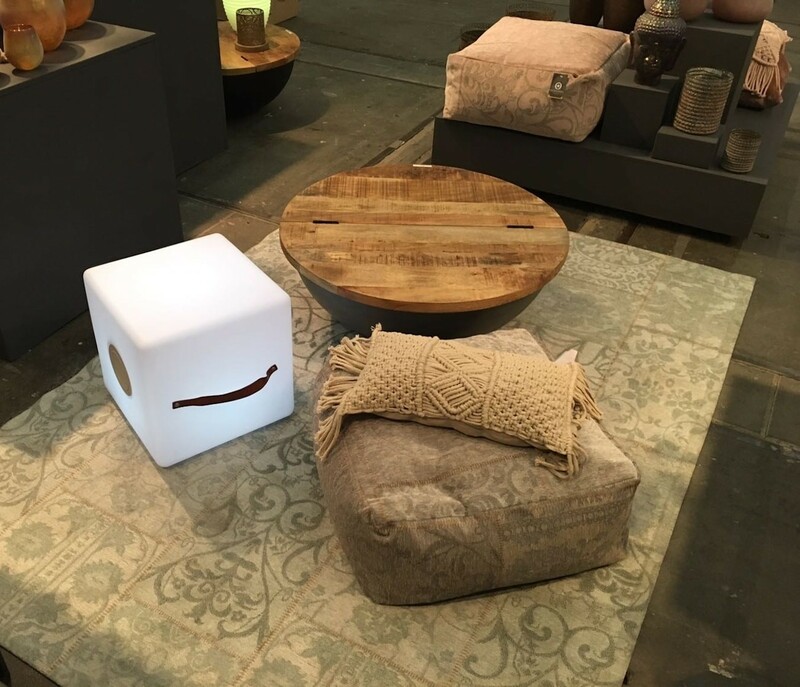 The collection of Nikki Amsterdam mainly comprises various multifunctional products such as The Cube, but also The.Lampion, wine cooler, lamp and speaker in one, and The.Bowl, wine cooler, bowl and speaker in one and The.Diffuser, lamp and odor-diffuser in one.